Kate Rubin is an actor, director and drama teacher with almost three decades of experience. 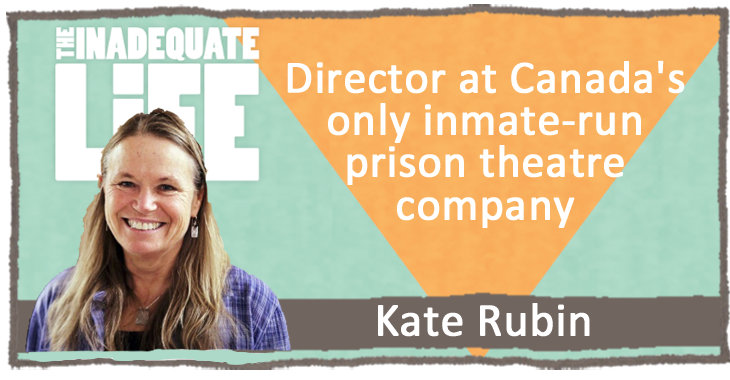 She’s just directed a play in a prison with the William Head on Stage Prison Theatre Company & the Prison Arts Collective. That’s the only inmate-run prison theatre company in Canada. If you are near Victoria you can see the performances October 29, 30, 31 and November 5, 6, 7. Visit William Head On Stage for more information and tickets. Kate also works as a dramaturge, most recently with Karen Lee Picketton on “Slick” which was presented at Intrepid Theatre’s “Uno Fest” which has the distinction of being North America’s longest-running festival of one-person shows. We also discuss Kate’s work with high school students with The Belfry Theatre’s “Belfry 101” program. This podcast was posted on October 27, 2015 .